You got a PS3 or PSP? If so, then you need to know what's inside! Sony has added a number of new features and a few improvements on current PSP and PS3 features with its latest firmware updates, due for release in the very near future. Firstly, PSP v5.00 update adds the PlayStation Network icon on the XMB, enabling users to sign up, manage their account and access the PlayStation Store (and, more importantly, buy games and download free demos) directly from the PSP via Wi-Fi. You can use your PlayStation Network account details on both your PS3 and PSP. Finally, PSP update v5.00 adds a sleep timer option to be used while you are playing music on your PSP and a full screen keyboard option for text entry. Stay tuned for release details on this directly from Sony very soon. Sony has also released details for the next PS3 firmware update - version 2.5, which will allow gamers grab in-game screens, then upload them to a server to show off to their mates. Support for the PS3 Official Bluetooth Headset - we've told you about the upcoming Bluetooth Headset and SOCOM: U.S. Navy SEALs Confrontation Bundle on the Blog. This latest firmware installment enables High-Quality (HQ) mode, which delivers clear and wide-band online voice chat. On top of that, an added on-screen indicator shows battery status, volume level and use of HQ mode. PlayStation Trophies interface enhancements - I know that many of you are busy collecting trophies and raising your PlayStation Trophy level. This update makes sharing and comparing your trophies with your friends even easier. On 1st part of the profile page you'll see a symbol under level that represents level and the actual percentage towards the next level along with the existing level meter. The level symbol carries over to the trophy comparison screen where you will now be able to see your level, your friend's level and the percentage towards the next level for both users along with all of the game by game comparison information you see today. Friend status - Offline friends on your Friends list will have information below their avatars that will indicate how long it has been since they were last online. Video - This update adds the Scene Search feature similar to the feature on the PSP. 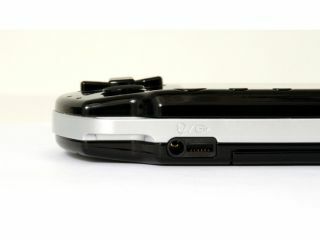 Activating this feature while viewing a video on the PS3 will break the video up into scenes that you can quickly access by pressing the X button. You can break the videos into one, two or five minute intervals. In addition, you can now choose to have all of the videos under the video section of the XMB play in sequence. Go to Settings then Video Settings to turn this option on. PlayStation Store - We've added a redeem codes option right on the store to make it easier to redeem your PlayStation Network Cards and promotion codes. In addition, PlayStation Network Sign Up and Account Management have been redesigned. Power Save Settings - You can now set your PS3 and wireless controllers to turn off automatically after set periods of inactivity. Go to Settings then Power Save Settings to turn on these features. Background Downloading - You now have the option to set the PS3 to turn off automatically after a background download or installation of content has completed (at long friggin' last). This option is available when you turn off the system from the button under [Users] while content is being downloaded or installed.